BluedarkArt The Chameleon's Art: TeePublic SiteWide Sale! $14 ALL Tees on BluedarkArt's Designer Shop! TeePublic SiteWide Sale! 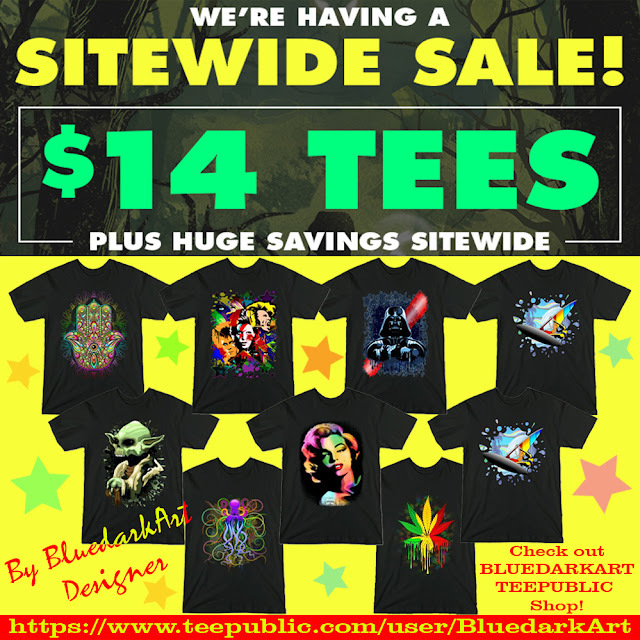 $14 ALL Tees on BluedarkArt's Designer Shop! Arts & Design - illustrations, vector, digital art, and more! Black Friday is getting closer! on BluedarkArt's LiveHeroes Shop! Come see my Hundreds Images! ...and More Designs on Chameleoncolors Skreened Shop!